With the cost of microSD cards on a consistent rise, it’s always useful to have an economical and reliable option as a backup for storing your files. 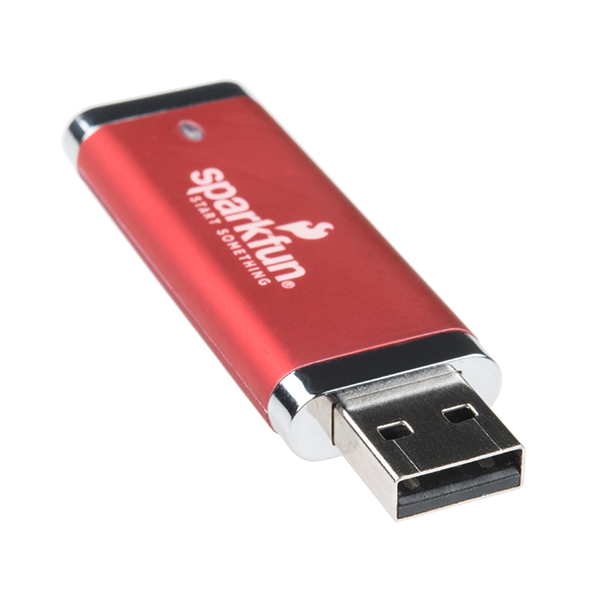 This sleek, red 16GB thumb drive has been emblazoned with our SparkFun Electronics logo and our moniker to Start Something! 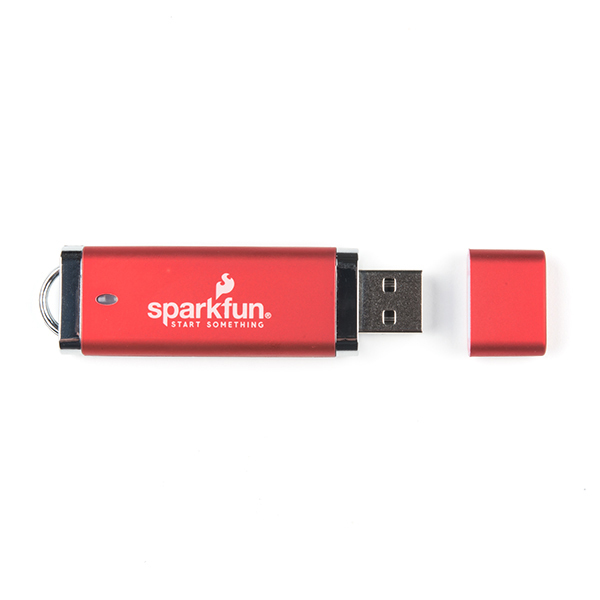 Each thumb drive features a removable cap that protects the USB connector, a key loop to attach the drive to a key chain or lanyard, as well as a status LED to let you know when it is connected. 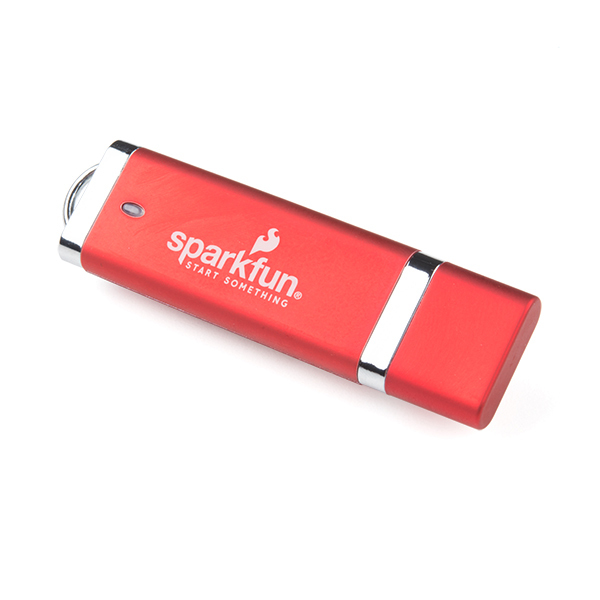 Since the term “GB” is being thrown around a little indiscriminately nowadays, we wanted to make sure you knew that we have run tests on these thumb drives to verify that they are actually 16GB and not spoofed to only appear that way. After our tests we did conclude that each the digital storage of these thumb drives did come up as 15GiB, meaning that everything is on the up and up!